Le Coz joined the Rensselaer faculty full-time in 1988 as an assistant professor of Electrical, Computer, and Systems Engineering. He was awarded a tenured associate professorship in 1995. Le Coz has been a visiting faculty member at LSI Logic Corporation and at Sandia National Laboratories. He has been named a Digital Equipment Corporation Fellow, a General Motors Scholar, and a Connecticut State Scholar, and has received awards from the American Cyanamid Company and PerkinElmer, Inc. Le Coz is a member of Tau Beta Pi, Eta Kappa Nu, Sigma Xi, and the American Physical Society. 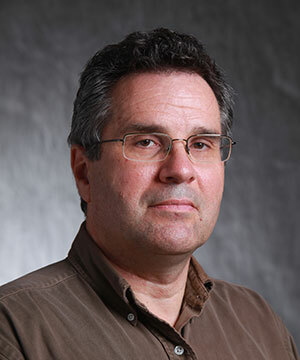 Le Coz's research interests include transport in semiconductor devices, equilibrium heterojunction theory, and random-walk algorithms for the physical design of ICs. His research team is focusing on inventing and developing novel, stochastic RW algorithms for solving electro- and magneto-static, electrodynamic, and thermal equations in massively coupled electrical and optical IC-interconnect structures. A principal goal of his research is to maintain full parallelism, which will provide the efficient computational enhancement needed to meet future modeling and simulation requirements in high-end digital ICs. Team members are currently working on RW impulse-response extraction algorithms. They are developing novel impulse-response, moment-extraction algorithms for both lumped-element and continuum-domain descriptions of IC interconnects. Their approach involves diagrammatic expansion of a perturbation series (similar to that employed by R.P. Feynman in theoretical physics) and subsequent stochastic RW evaluation. Another area of Le Coz's research is heat-equation solution in complex, IC-interconnect structures. The desire to improve IC integration density has generated significant interest in 3D (stacked-chip) configurations. In fact, thermal management within 3D chips appears to present a serious technological challenge. A related problem is the development of efficient algorithms and methodologies for numerical analysis of heat transport within these complex conductor-dielectric interconnect structures. Le Coz's team is developing a multi-scale, thermal-analysis methodology for 3D chip configurations. Their methodology relies on a global-local, floating-RW method for solving the heat equation in complex material structures. Le Coz's studies support three tasks of the Interconnect Focus Center (IFC): Circuit & System Design and Modeling, Novel Communication Mechanisms, and Materials and Processing. His research sponsors include the Semiconductor Research Corporation (SRC), the Microelectronics Advanced Research Corporation (MARCO), the Defense Advanced Research Projects Agency (DARPA), and LSI Logic Corporation (LSI).